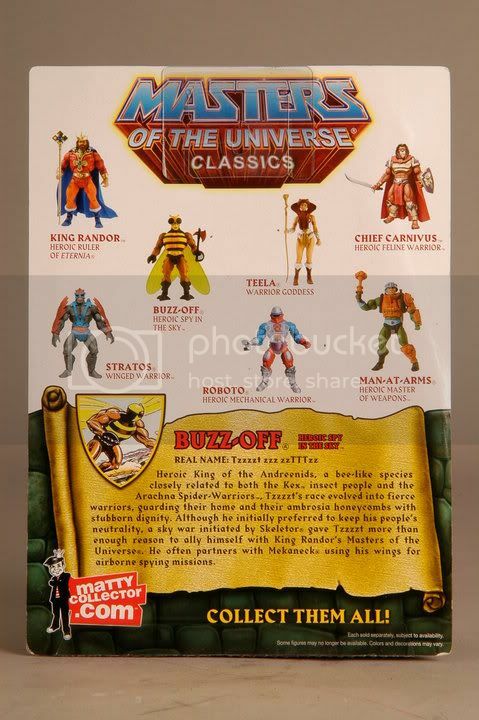 Matty Collector has updated their Facebook page with new in package pictures of the upcoming MOTU Classics figure Buzz-Off. 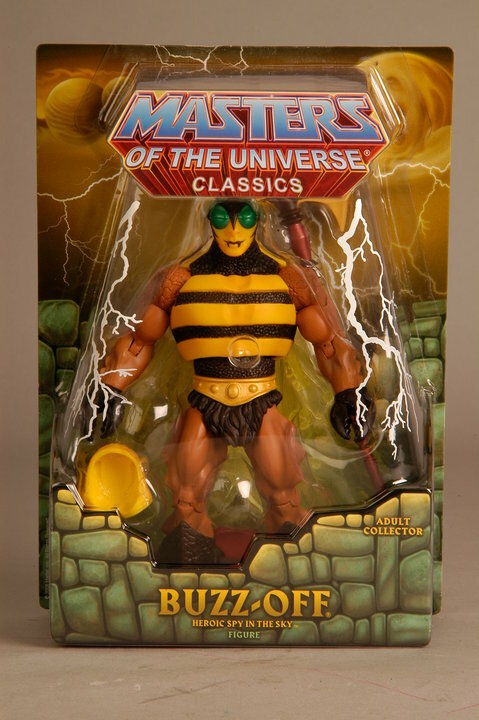 Buzz-Off is available for sale at MattyCollector.com on December 15th. 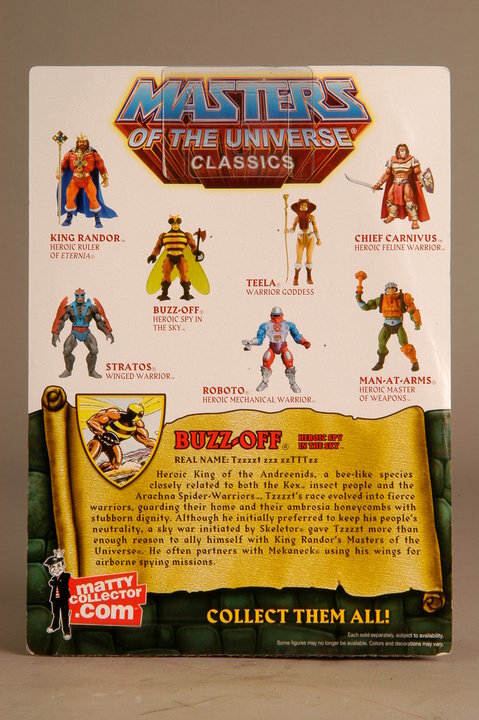 Buzz-Off goes on sale December 15th on Mattycollector.com! He was one of my favorites from when I was a kid. Loved his wing gimmick and I always marveled at how Mattel got away with his name. Check out his real name on his bio! Sounds like my alarm clock. Whats wrong with his name? Anyways, awesome figure. 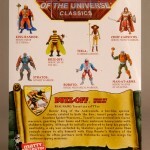 Hope I can get him, and not be pissed off again.